SPRINGFIELD, Ill. (AP) — Illinois Attorney General Lisa Madigan said her office will launch a criminal investigation of how Gov. Bruce Rauner’s administration handled a three-year-old Legionnaire’s disease crisis at a state-run veterans’ home. The Democrat will review compliance with state law and whether residents and staff of the Quincy home and the public were notified in a timely manner, spokeswoman Eileen Boyce said. Republican Rauner faces a stiff re-election challenge in a state that leans Democratic. The announcement came late on the same day that WBEZ Chicago reported that emails from the summer of 2015 indicate that officials in the Republican governor’s office made a deliberate decision to hold off making a public statement even though more than a dozen people had contracted the flu-like malady. A dozen residents died that fall. The crisis has contributed to the deaths of 14 during the past three years and has sickened six dozen more. “There needs to be an investigation to determine if laws were violated and whether residents of the home, their families, veterans’ home staff, and the public were informed in a timely and appropriate manner,” Boyce said in a statement. She did not elaborate on how the probe would proceed. 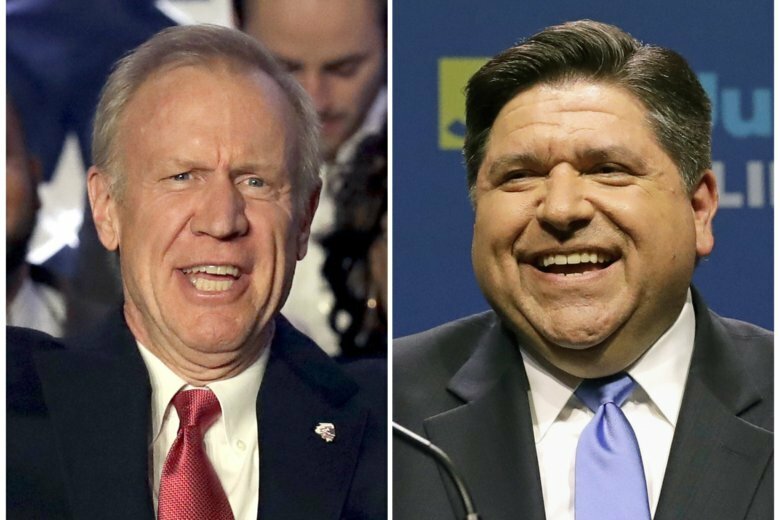 The issue has hounded Rauner and Madigan’s announcement drew a sharp response from the governor’s election Democratic opponent, J.B. Pritzker. But Rauner spokeswoman Patty Schuh said the administration has been open about its management of the outbreak. Pritzker, just before stepping before Chicago television cameras with Rauner in their second face-to-face debate Wednesday night, issued a rebuke of his opponent. The news brought a political sigh of relief for Pritzker who, just a day earlier, agreed to repay $330,000 in property tax breaks he got dating back to 2012 after pulling toilets from a Chicago mansion to have it declared “uninhabitable.” Pritzker responded to a report by the Cook County inspector general, who dubbed the instance a “scheme to defraud” taxpayers. Attorney General Lisa Madigan is the daughter of powerful state Democratic Party chairman and House Speaker Michael Madigan. Disputes between Rauner and Madigan left the state without a budget for two years.